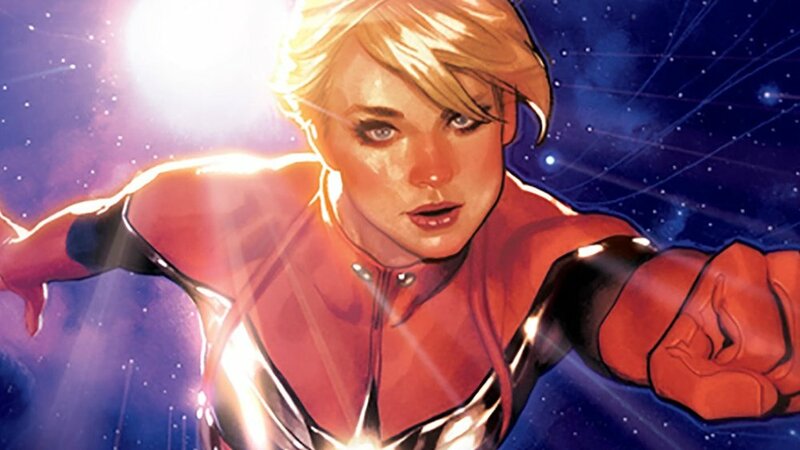 Captain Marvel is a big important character who will be making her way into the Marvel Cinematic Universe. There's been a lot of discussion and speculation regarding where we might see Captain Marvel pop up outside of her standalone film that is set to be released on March 6th, 2019. We've already been told not to expect to see Captain Marvel in Avengers: Infinity War. So, a lot of fans assumed that she would make an appearance in Avengers 4, which is scheduled to be released on May 3rd, 2019. That's only a few months after her solo film is released. It makes sense that we'd see her in Avengers 4, but until now there's been no real confirmation. Atlanta Filming recently sent a tweet out welcoming actors Brie Larson and Chris Evans to the city where Avengers 4 is currently shooting. I guess this also means that Captain America doesn't die in Infinity War. The solo Captain Marvel is going to be set in the early 90s and feature Carol Danvers and Nick Fury somehow get caught in the middle of the Skrull and Kree war. We have no idea where Captain Marvel will have been spending her time between the events of Captain Marvel and Avengers 4, but we'll eventually find out!